Today is National Doughnut Day! 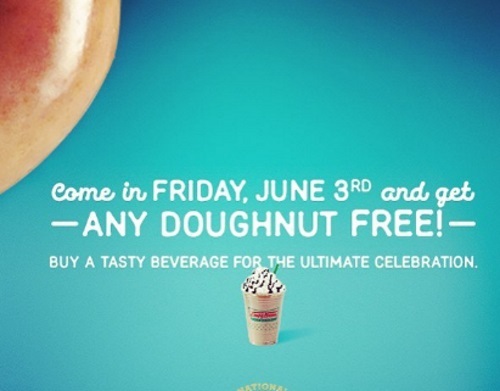 Celebrate by getting a Free Doughnut at Krispy Kreme Canada! This offer is valid today only, all day, Friday, June 3, 2016. No purchase is necessary, but they suggest to buy a tasty beverage for the "ultimate celebration".